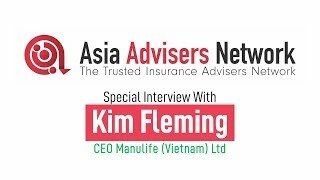 Vietnam's insurance industry has been positive for a number of years and the outlook continues to be "very, very good and will continue to expand", according to Kim Fleming, CEO, Manulife Vietnam. Here's what created the most buzz in the industry which got fans of Asia Advisers Network's attention in the month of March. In case you missed it, we get you up to speed below. Asia, already a significant market for the life insurance market, has good potential for further growth, said Minister Ong Ye Kung, Board Member of Monetary Authority of Singapore. 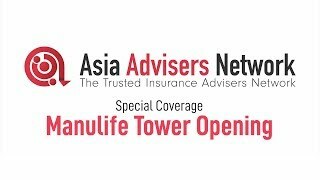 Manulife Tower officially opened yesterday, signifying Manulife's commitment to Singapore and the region, and setting a benchmark for the organisation globally, said President & CEO Roy Gori. AIG has announced the appointment of Christian Sandric as President and Chief Executive Officer, Singapore which will take effect in April 2019. Mr. Sandric will report to Sachin N. Shah, Chief Executive Officer, Asia Pacific, AIG General Insurance, and will be based in Singapore. Ms Ho Hern Shin, Assistant Managing Director (Banking and Insurance), Monetary Authority of Singapore, delivered her keynote address "Leverage Technology, Build Trust" at the recent LIA Annual Luncheon. At the LIA Annual luncheon, Mr Khor Hock Seng, the newly-elected President of LIA Singapore, shared the Association's priorities for 2019. Aviva plc announces Maurice Tulloch will become Chief Executive Officer with effect from 4 March 2019. There has been an emergence of 'ROBO' but it's not all artificial intelligence and robots. "Yes, we have seen an emergence of 'ROBO' but it's more of 'research online, buy offline'," said Ben Tan, Great Eastern Managing Director of Regional Agency, FA and Bancassurance. Insurance Commission of the Philippines has introduced new regulations banning insurers from outsourcing functions or business processes that are directly related to doing or transacting insurance business.